Step into your bathroom and pull open a drawer. Look under the cabinet. Or peer into the bottomless pit of your shaving kit. If you’re like most guys, chances are pretty good that in these nether-regions of your bathroom you’ll find out dates meds, half-used containers of toothpaste, and other items. And amid this array of toiletries, you’ll probably also discover a collection of manscaping tools like nose and ear-hair trimmers, sideburn clippers, scissors and hair clippers, razors and shaving cream. If you soon realize that you need to pack as much bathroom junk as your significant other when you leave town, it might be time to simplify. And you can do it. One of the best manscaping trimmers on the market is an all-in-one device that can replace all that clutter under your bathroom counter. 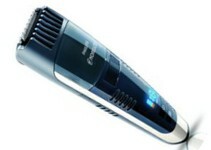 Everything you need to cut, trim, style, or shave can be done with the Philips Norelco bg2040 Bodygroom Pro. 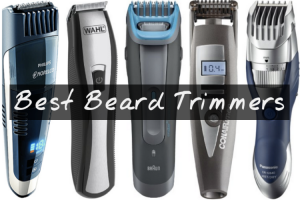 This affordable and effective manscaping trimmer can keep your beard, mustache, goatee, or sideburns well-trimmed. You can use it to trim unwanted nose-hair, ear-hair, or keep your eyebrows from getting too bushy. And you can even use the attachments to trim the locks on your head. It’s convenient and takes less space than all the junk you’ve been using to groom your manscape. But be warned, if you free up a drawer or cabinet space in the bathroom, your partner is likely to claim the vacant territory. 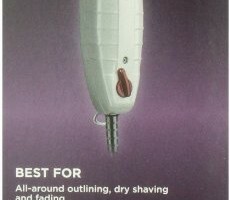 Philips Norelco engineers thought of everything when they designed this ultimate manscaping trimmer. It’s the perfect tool to replace all of the specialized equipment you might have to manage your manscape. This one tool can handle all of your hair grooming and maintenance needs. It’s cordless and rechargeable. 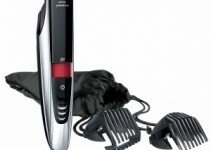 And it comes with all the attachments you need to turn this trimmer into a multi-purpose all-in-one tool. It’s all in the details. 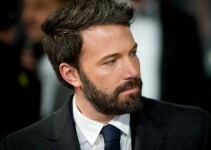 It includes attachments to trim body hair, nose and ear hair, and your beard, mustache or goatee. 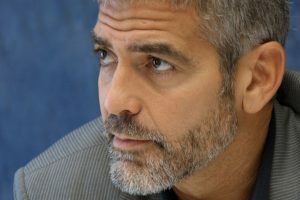 And it includes a wide range of lengths to accommodate those who like to maintain a full-bushy beard look, or a more carefully-groomed, short-stubble look with clean lines. And you can even skip a visit to the barber and cut your own hair. There are enough attachments that you can start by removing very little hair, and shorten it little by little. Another feature engineers included with the Philips Norelco Trimmer is a durable lithium ion battery. You can use this trimmer with the power cord. Or you can plug it in, charge it up, an use it cordless. A single charge lasts almost an hour. That might be enough to get you through an entire week or more. And something else you don’t always find in manscaping trimmers sold for less than $80 is a design that makes it completely waterproof. You can use this trimmer in the shower, and rinse it off under the sink. And if it accidentally falls in a bathtub or sink full of water, no big deal. The philips norelco bodygroom pro is completely waterproof, and backed by a two-year warranty. If you like to be able to adjust your facial hair style and wear a beard, goatee, or mustache, the Philips Norelco bg2040 Bodygroom Pro the perfect all-in-one manscaping tool to help you. And even though you’ll have to shell out around $60 for it, the trimmer is a versatile manscaping trimmer that should meet all your needs. All you have to do is charge, shave, and repeat. It’s a high-quality manscaping tool that will save you time and money in the long run.